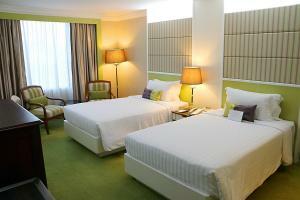 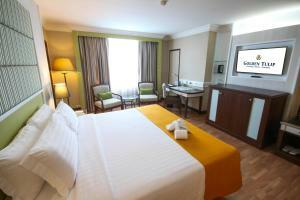 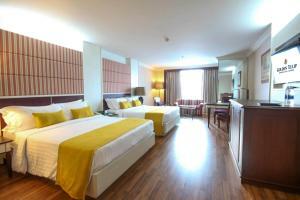 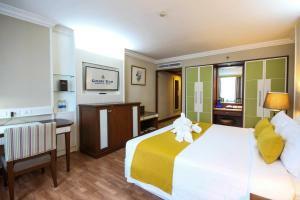 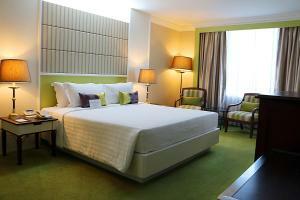 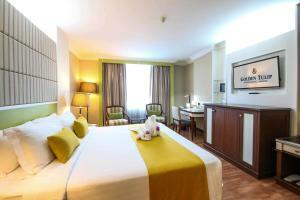 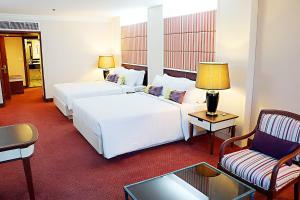 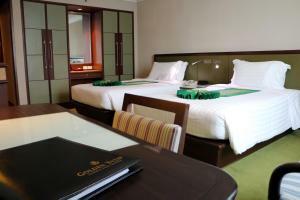 Golden Tulip Sovereign Hotel Bangkok is located a 20-minute drive from Suvarnabhumi Airport. 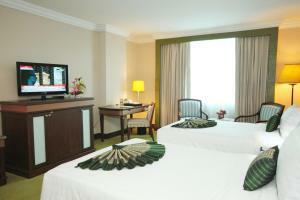 Featuring a swimming pool and spa, it provides free WiFi throughout and free city shuttles to shopping areas. 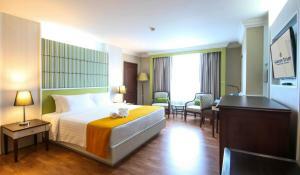 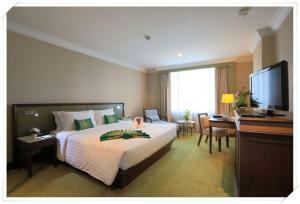 Golden Tulip Hotel is located opposite to Show DC shopping mall and 2 km from Asok and Nana BTS Skytrain Stations. 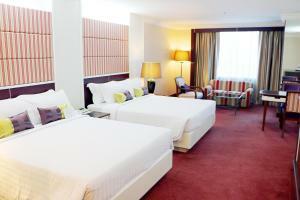 Rama 9 Hospital is 5 minutes away on-foot while Rama 9 MRT Station is a 15-minute walk away. 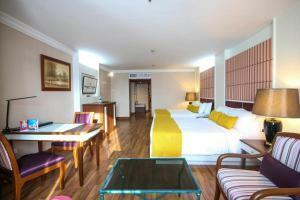 Pratunam Wholesale Market is approximately 3.5 km away. 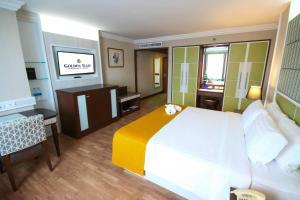 All rooms at Golden Tulip Sovereign offer a cable TV. 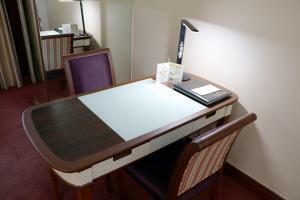 Each has a minibar and tea and coffee-making facilities. 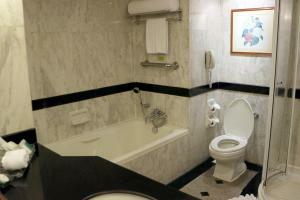 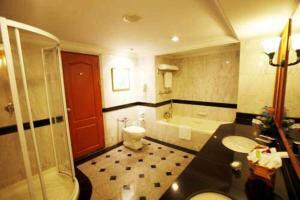 Large, marble bathrooms offer both bathtub and shower facilities. 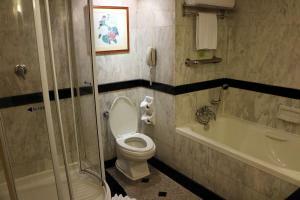 The hotel has 4 dining options. 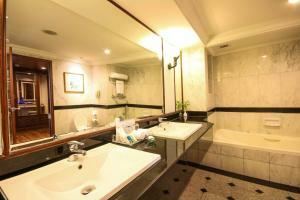 Fook Yuan Restaurant serves Cantonese delicacies while Tubtim Siam Restaurant offers traditional Thai cuisine. 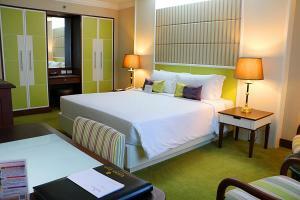 For drinks and snacks, Sky Lounge provides a comfortable setting with sweeping views of the city. 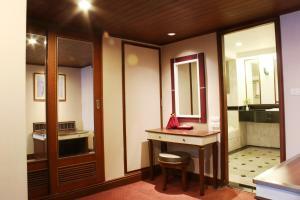 Guests can spend the afternoon lazing in the spa bath or enjoy a traditional Thai massage at the spa. 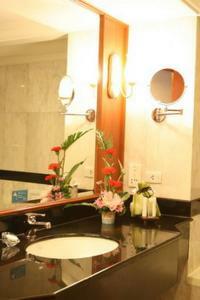 A fitness centre is available for an invigorating work out. 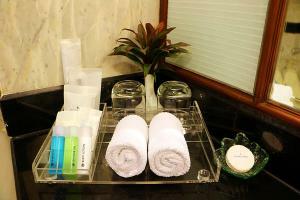 Friendly staff at the concierge desk assist guests with their requests. 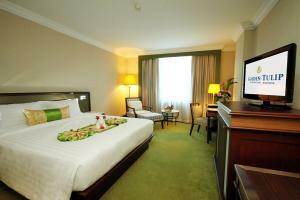 Located between floors 6-12, rooms offer air conditioning, a cable TV and a fridge. 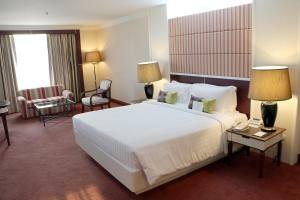 Rate: THB 2904.00 ... THB 12500.00; select dates below to get current rates. 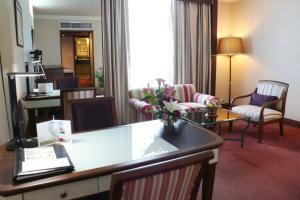 Room provides a sofa and is located on floors 14 to 18. 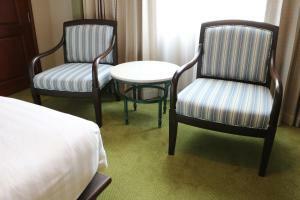 This room type can accommodate 3 adults and 1 child (under 12 years old).